to decorate a meat grinder. Kitfort is a Russian manufacturer of household appliances. The company sells its products primarily online. 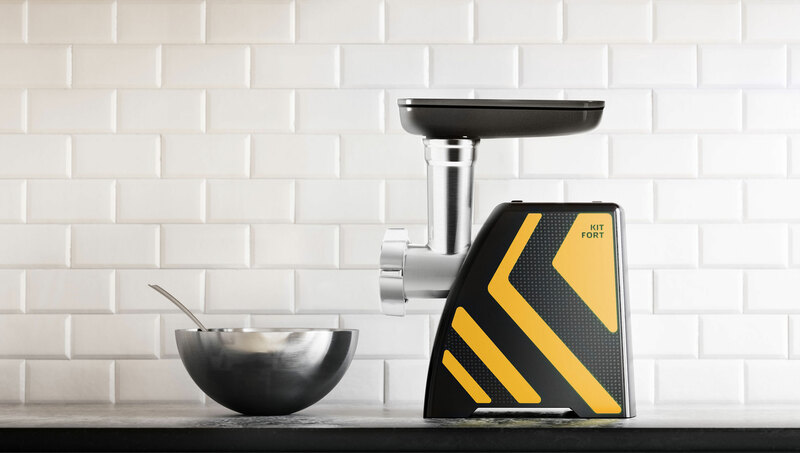 To make Kitfort meat grinders stand out in online stores, a graphic design emphasizing the beauty and power of the devices was created at the studio. 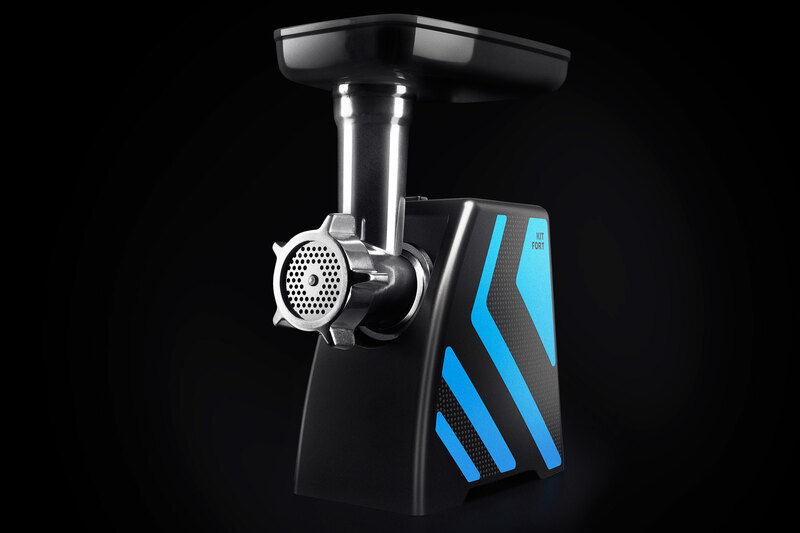 Dynamic graphics reminding of sports equipment is applied to the grinder’s glossy black casing. Color stripes are painted while the dotted pattern is applied with matte lacquer. Convex and pleasant to the touch, the dots make handling the appliance easier.